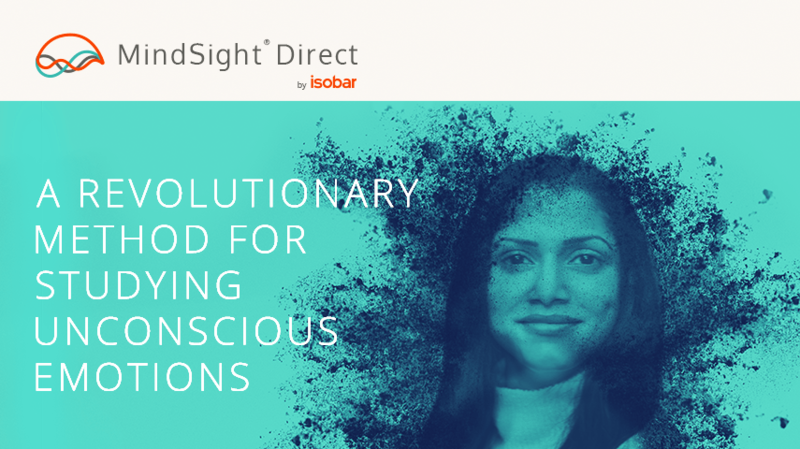 MindSight® is Isobar’s proprietary applied neuroscience product, a unique technology built to uncover the emotions that allow us to decode complex human responses and generate actionable insights. MindSight® targets emotions that matter: motivational emotions. Motivations fuel the choices we make, the actions we take and just about everything else. Think of MindSight® like a charging bull, breaking through all of the barriers of emotional insight. By accessing the emotional brain, we avoid the “can’t say/won’t say” phenomena. By targeting aspirations and frustrations, MindSight® provides critical insights for marketing to emotional end benefits. The Direct version of our award-winning MindSight® technology gives you the speed necessary to make decisions quickly and win in this “fast fail” world of marketing.